Home > Pyle > Car Subs > 10"
from Pyle will give your car audio system an extra kick giving you enough power for you to enjoy your favorite tracks during your travels. 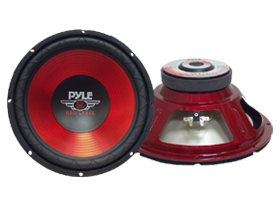 Pyle 10-Inch Subwoofers provide rich, accurate, and punchy bass output compared to what subs of the same size from other brands. With its wide array of features, these Pyle Subwoofers dissipate heat allowing your audio system to keep the groove as long as you want!